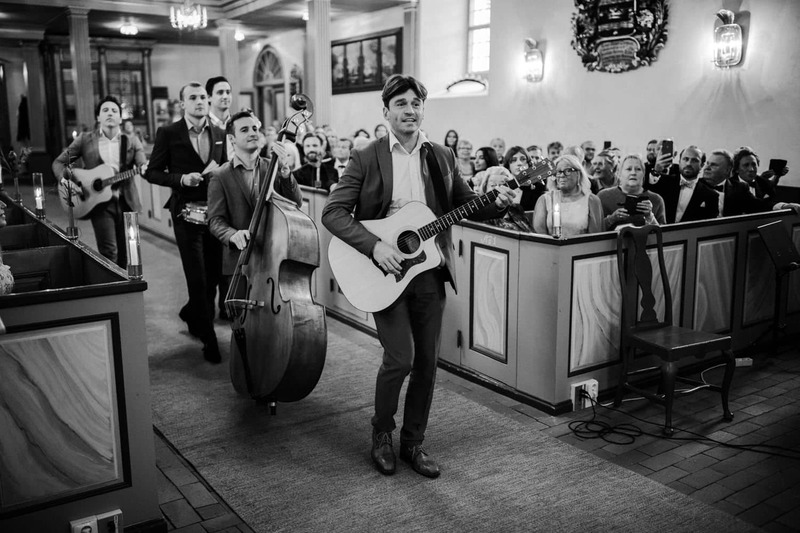 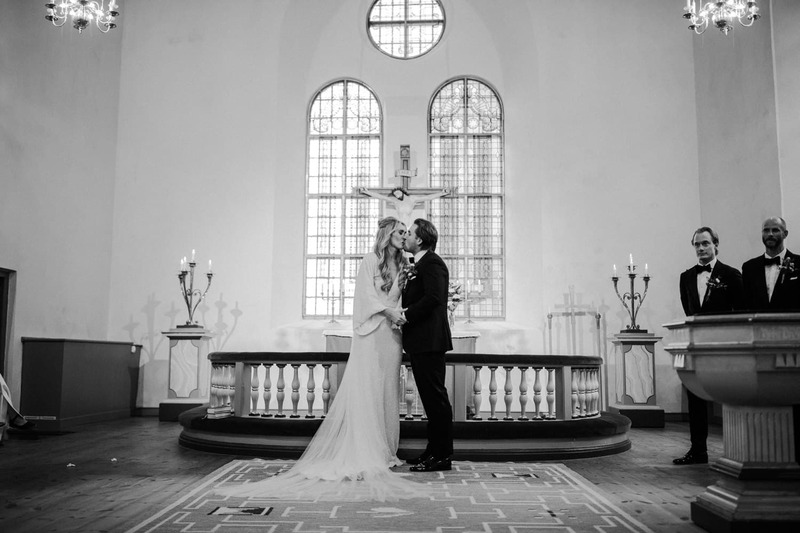 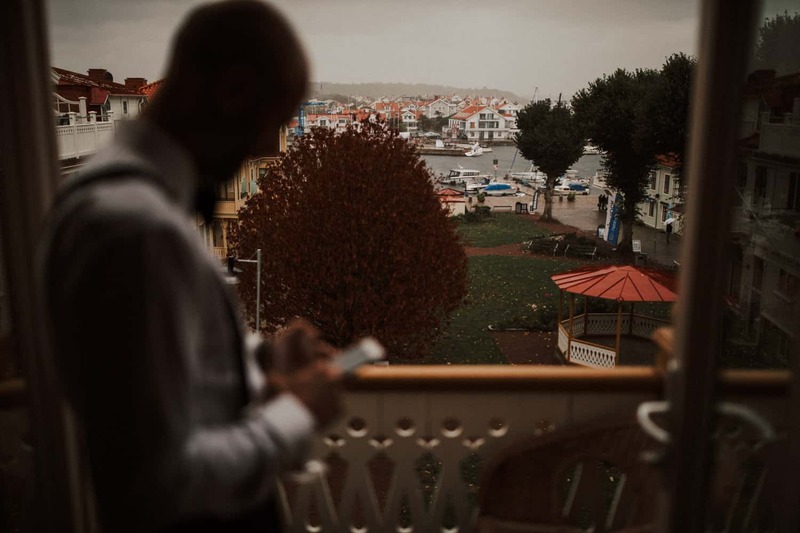 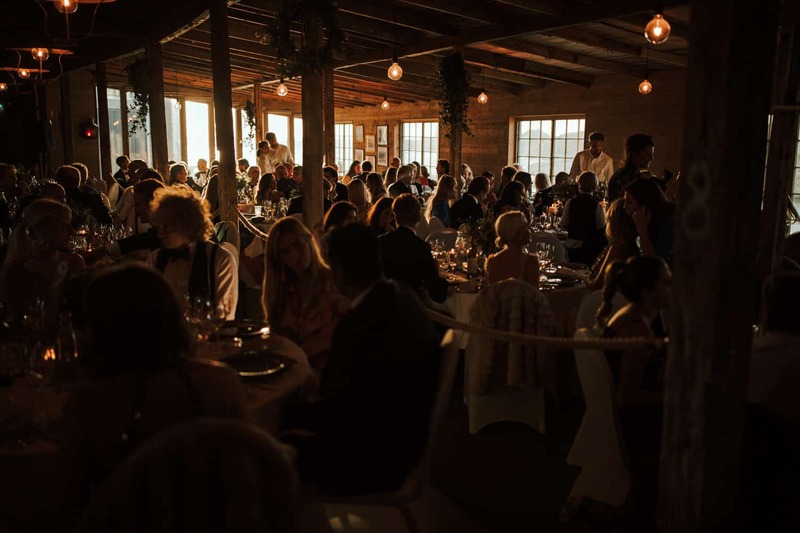 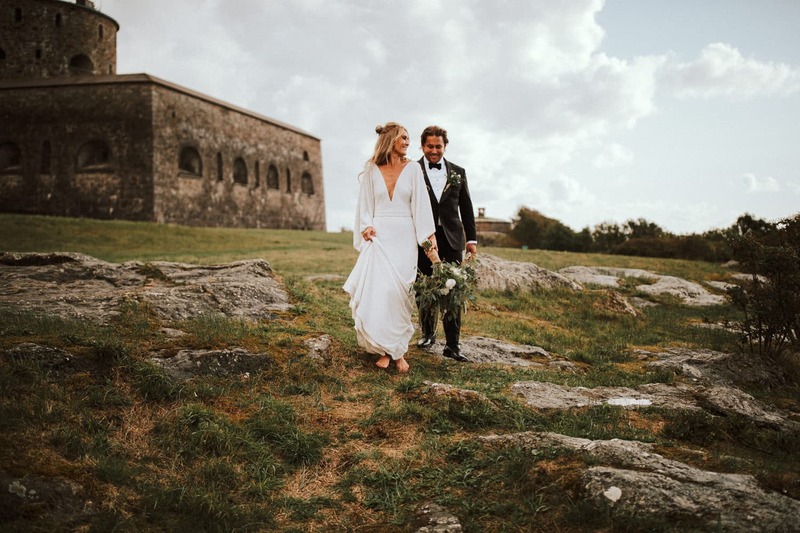 Swedish Wedding in Marstrand - Beautiful, Artistic & Emotional! 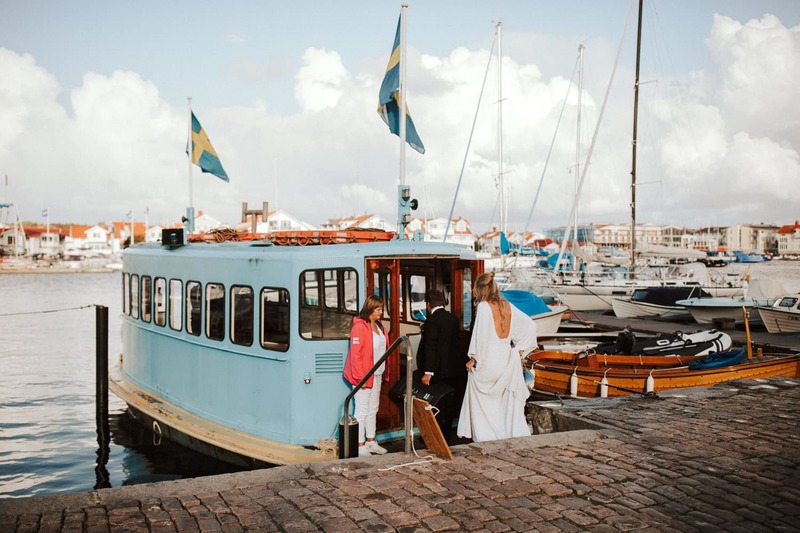 Swedish Wedding // I was lucky enough to be able to travel to Sweden last year to shoot the Swedish wedding of Emelie & Frederik. 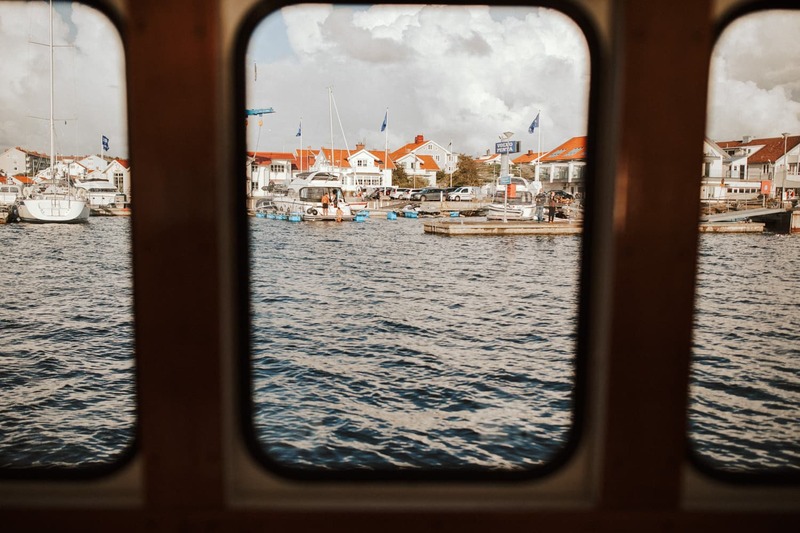 The journey itself was a little adventure as I had to take a plane, a cab, and a ferry to get to Marstrand. 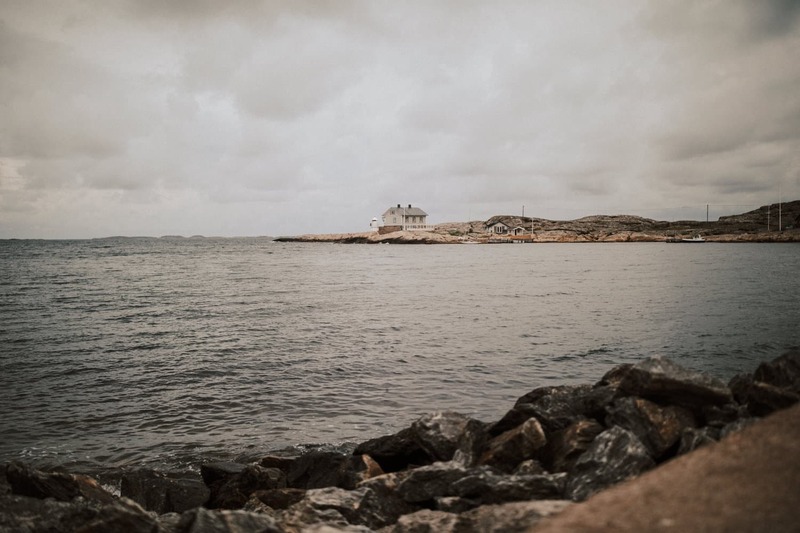 That is a small island on the west coast of Sweden and it was simply beautiful. 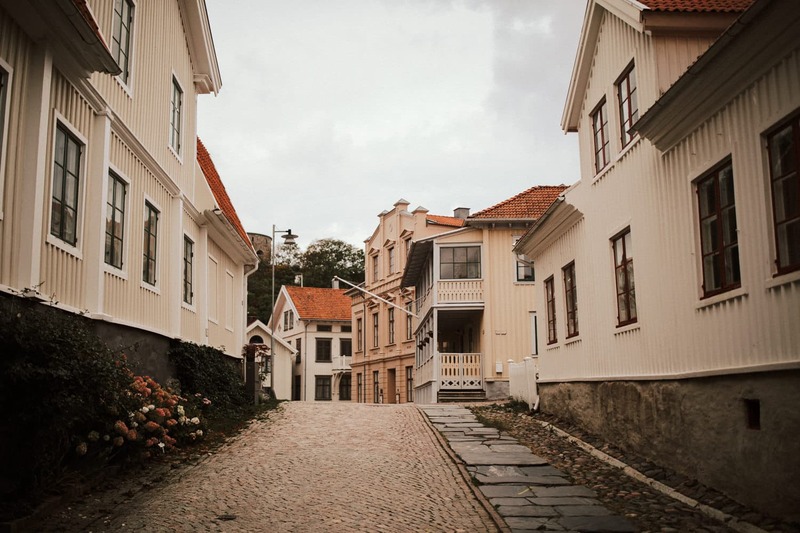 Marstrand is a tiny historic place that is surrounded by the ocean and filled with old buildings that tell a story. 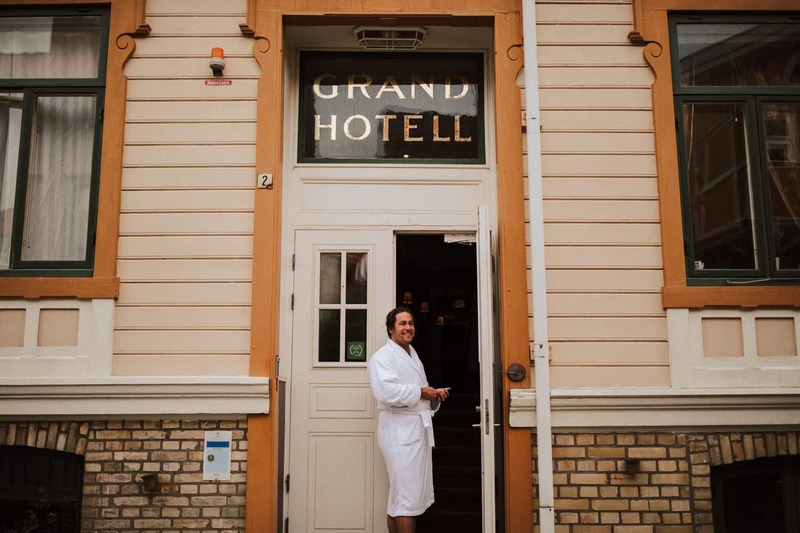 I felt like going back in time while walking through the streets and visiting some shops. 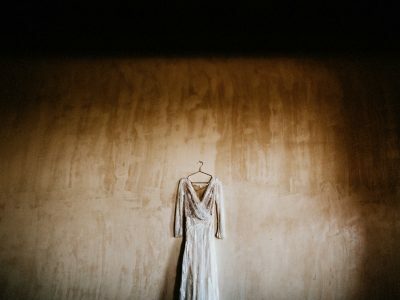 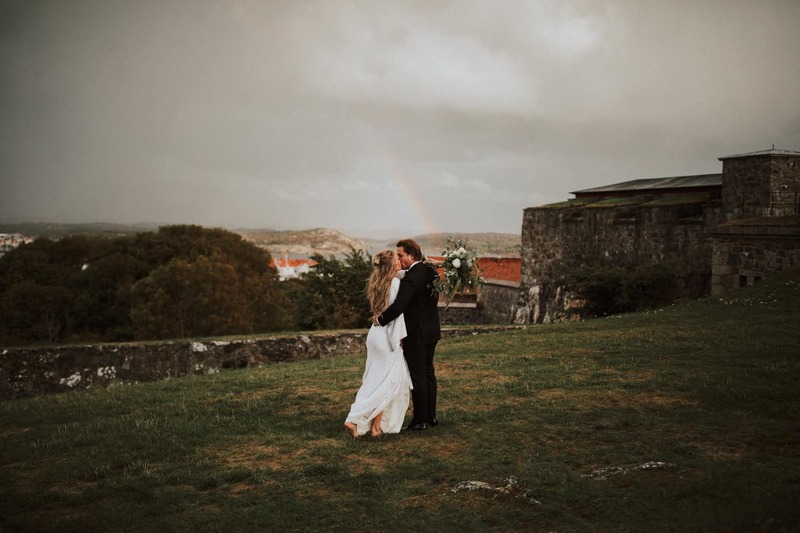 It simply did not feel like any other place I have been before as a destination wedding photographer. 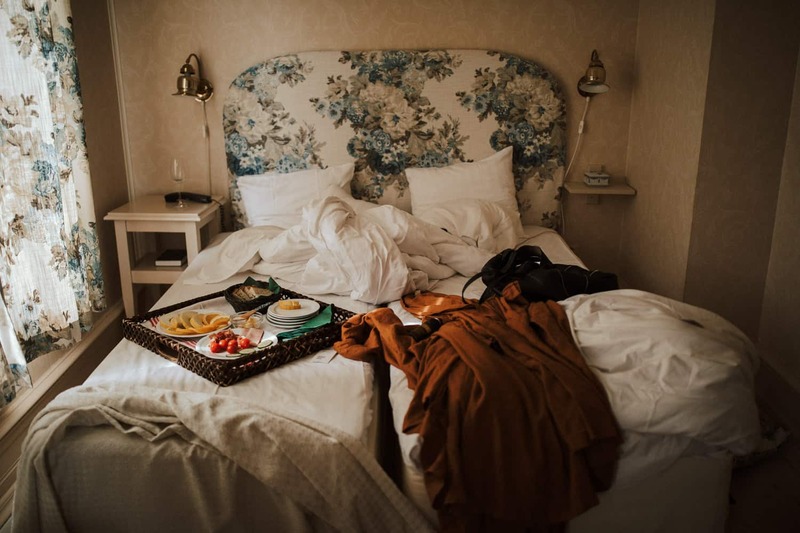 I grabbed a quick breakfast once I woke up on the wedding day and started to prepare for the event. 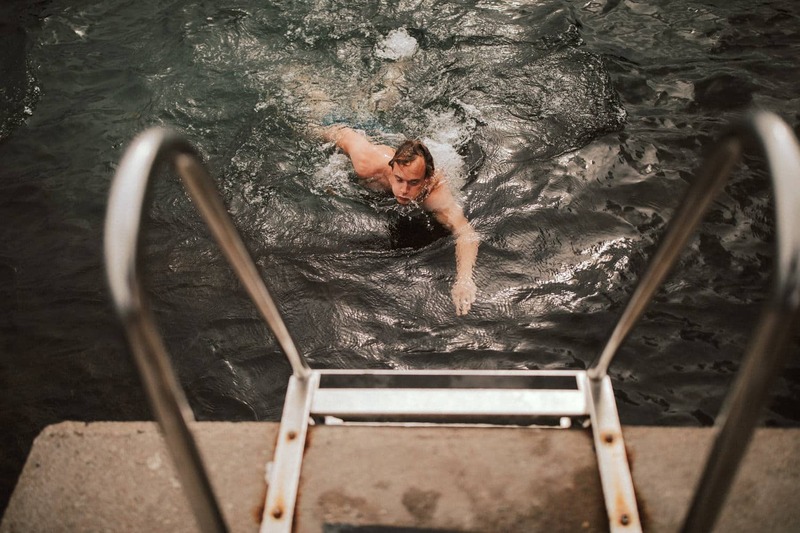 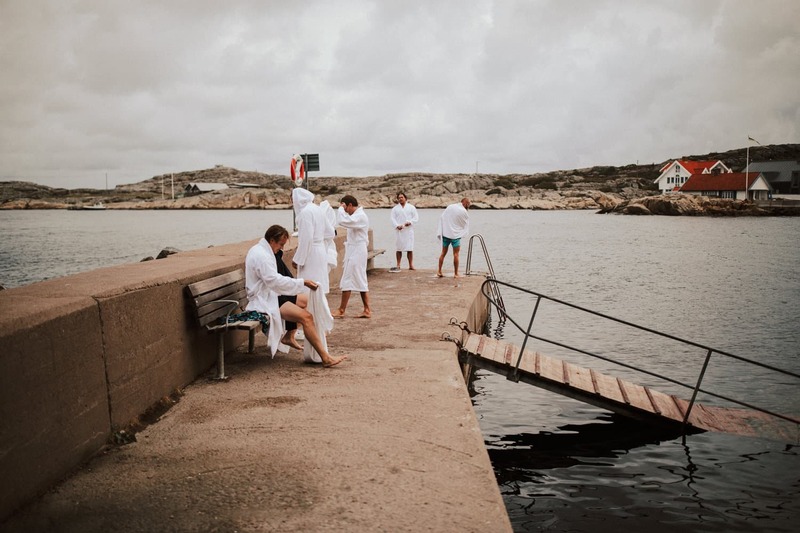 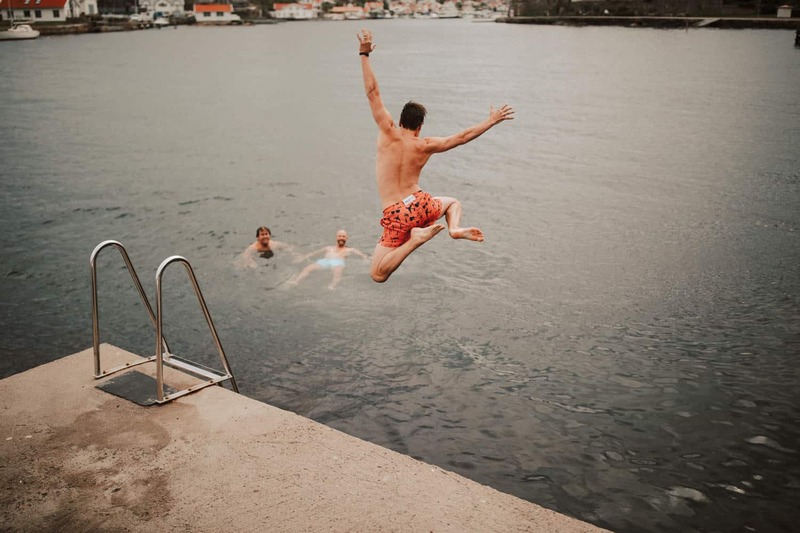 Frederik and his groomsmen spend the morning with a quick swim in the ocean and boy it was cold! 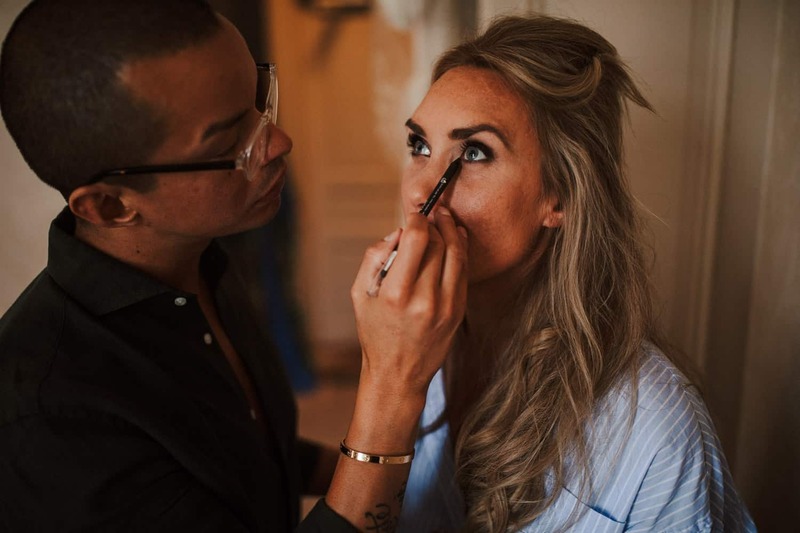 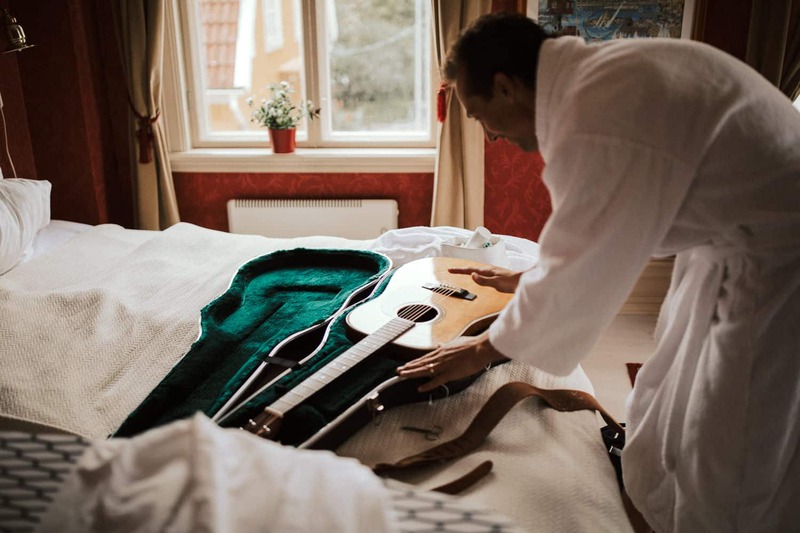 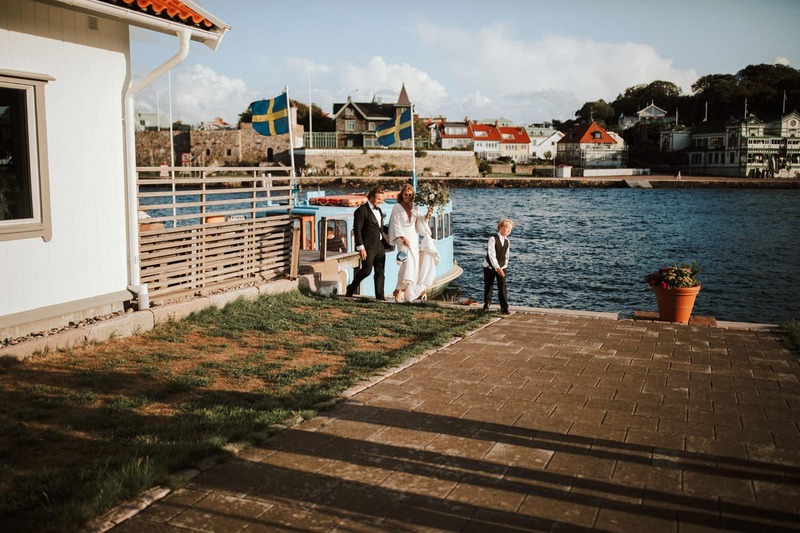 Once they were done we headed back to the Grand Hotel Marstrand where I started with the first getting ready shots of Emelie & Frederik. 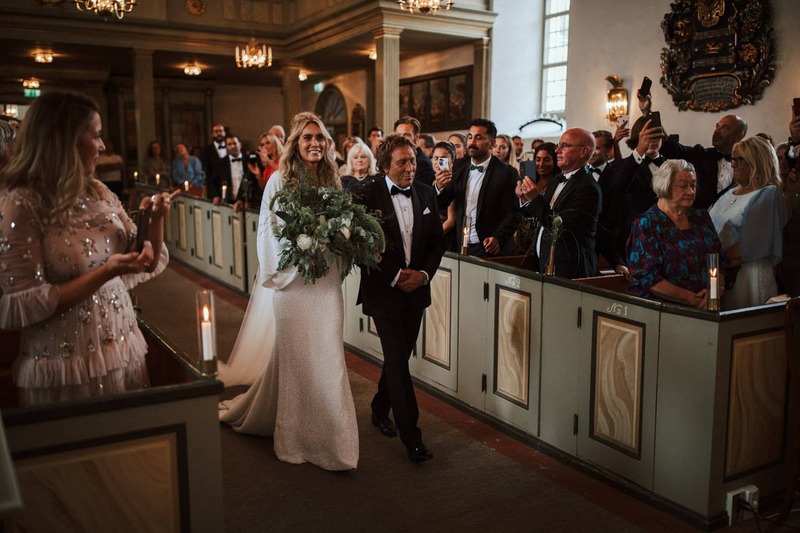 It was a super fun morning and I could literally feel the excitement and joy among the Swedish wedding party. 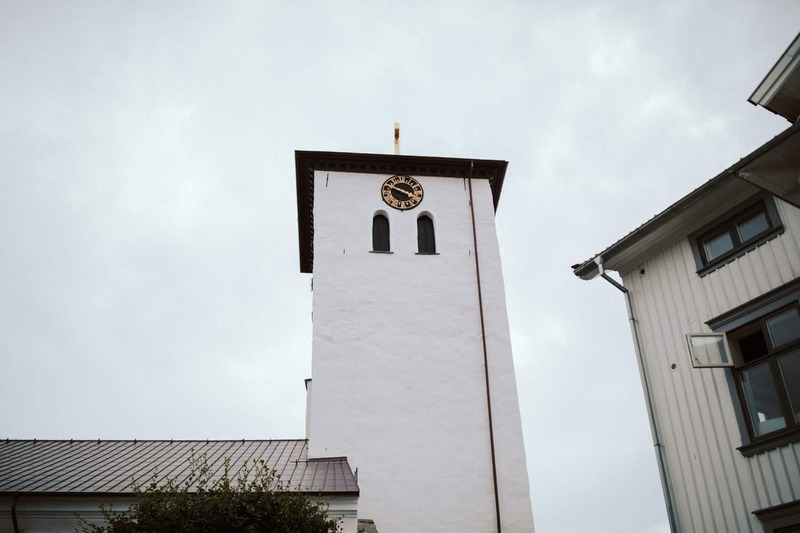 Luckily we only had an hour of rain, during the preparations, even though it was supposed to rain the entire day. 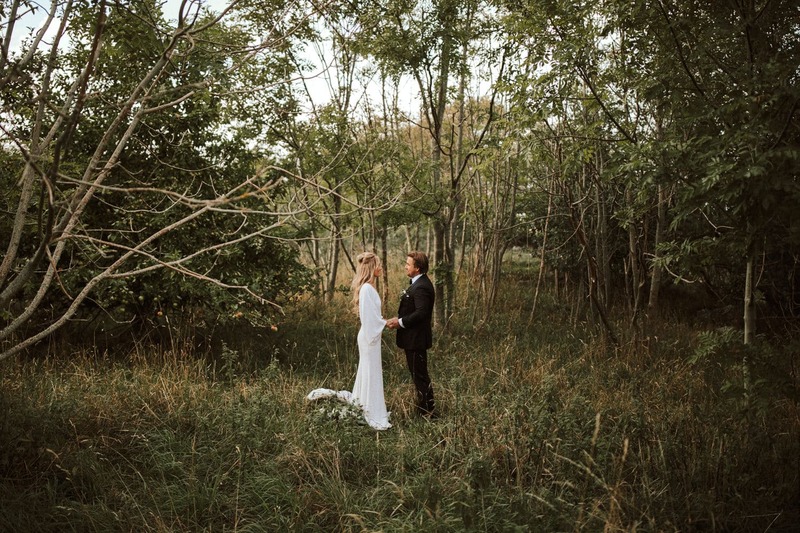 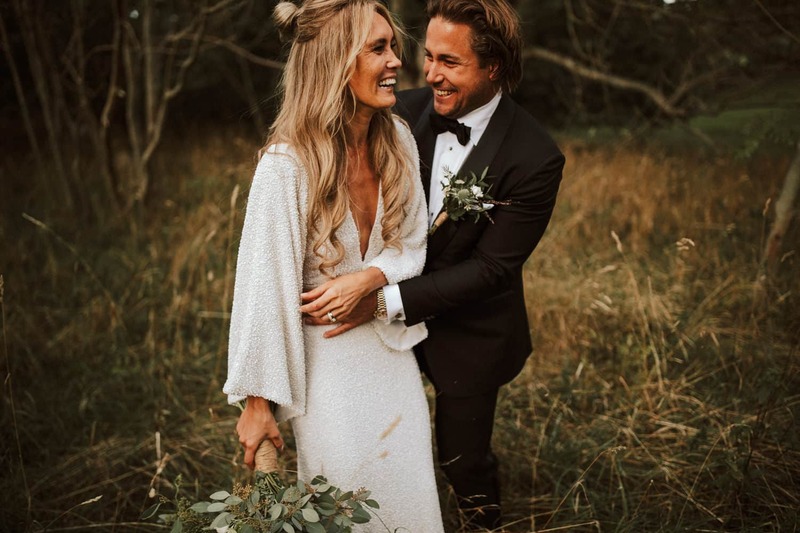 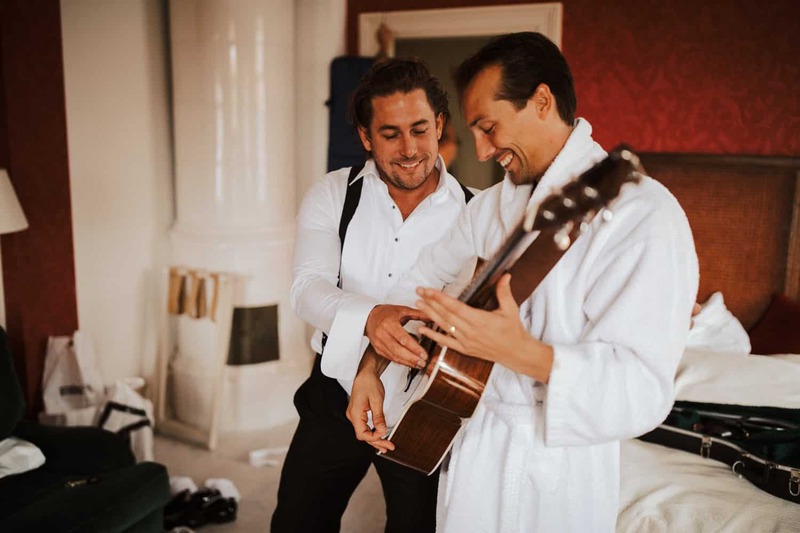 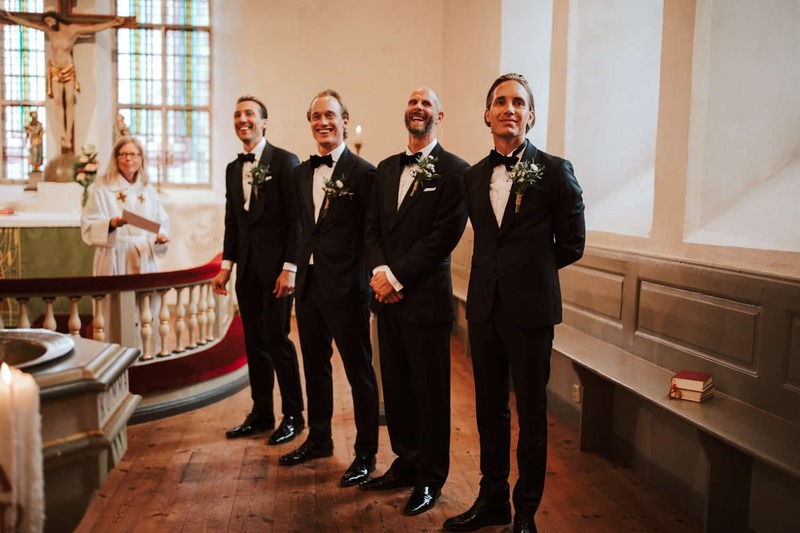 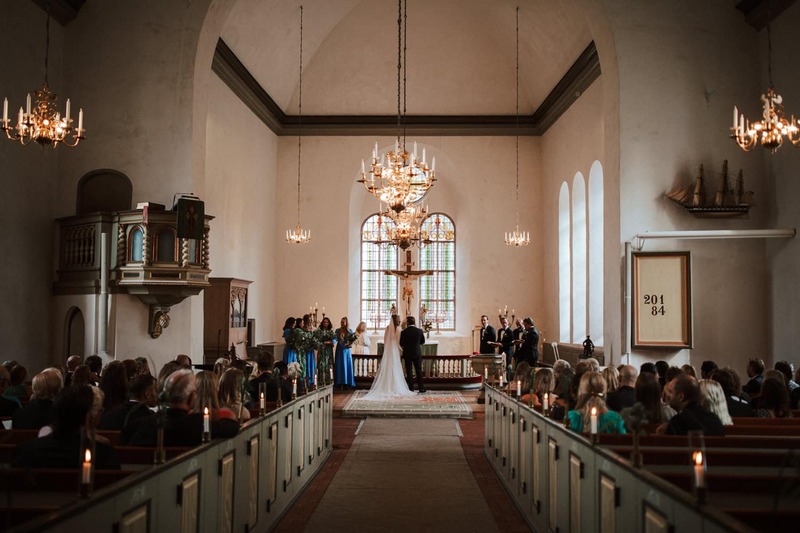 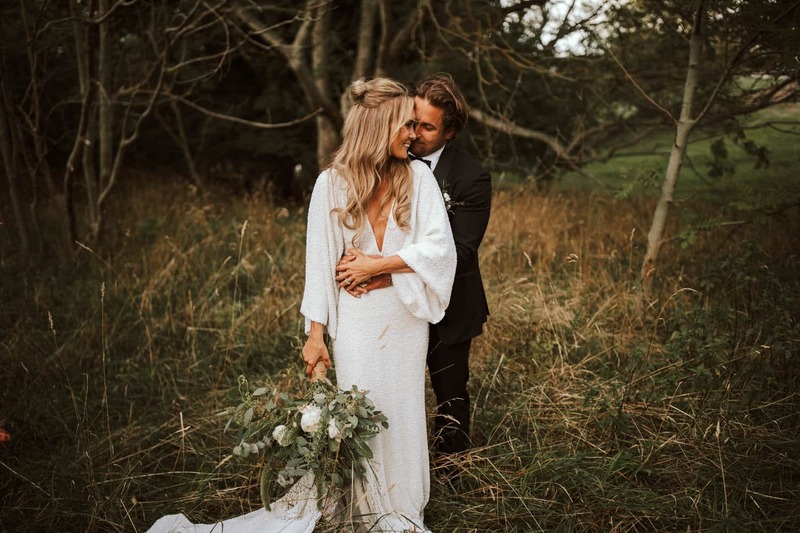 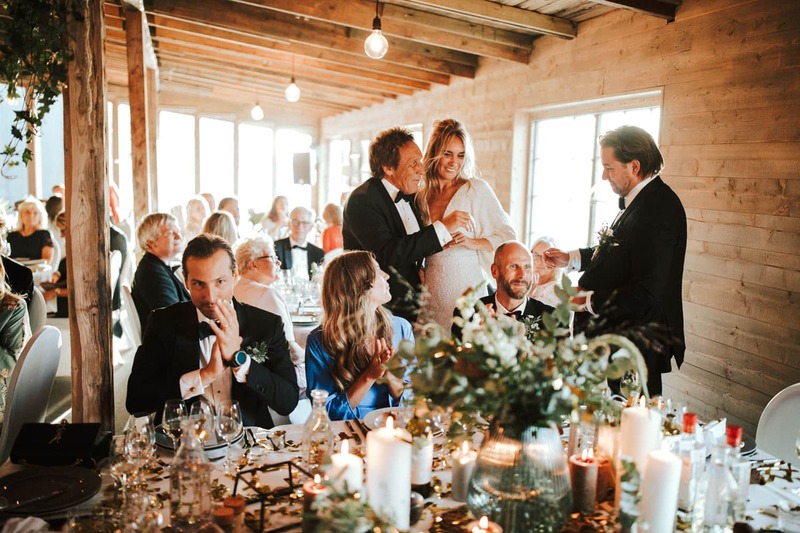 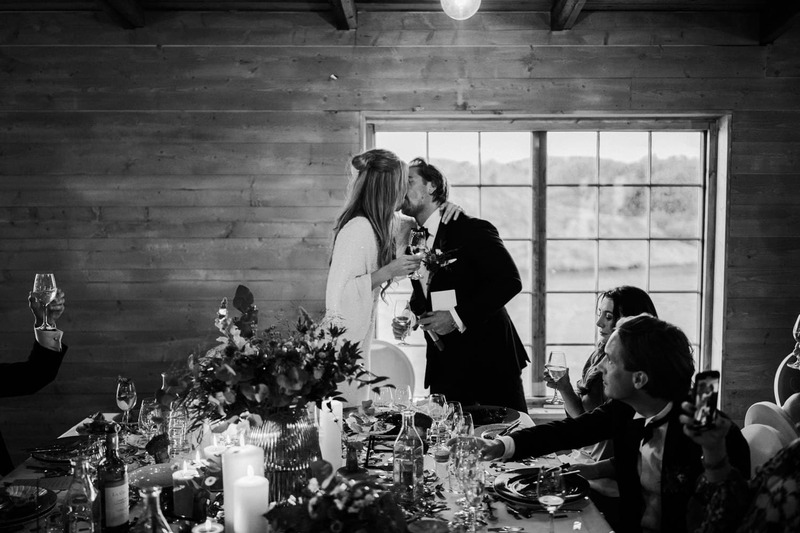 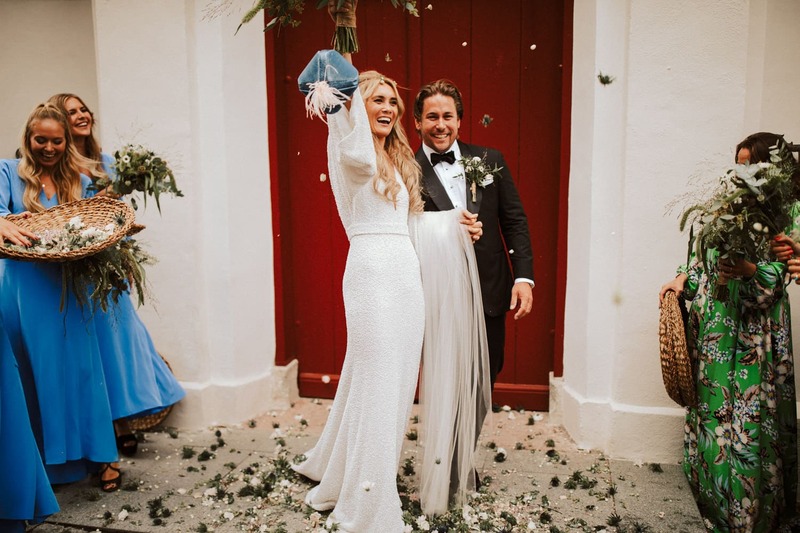 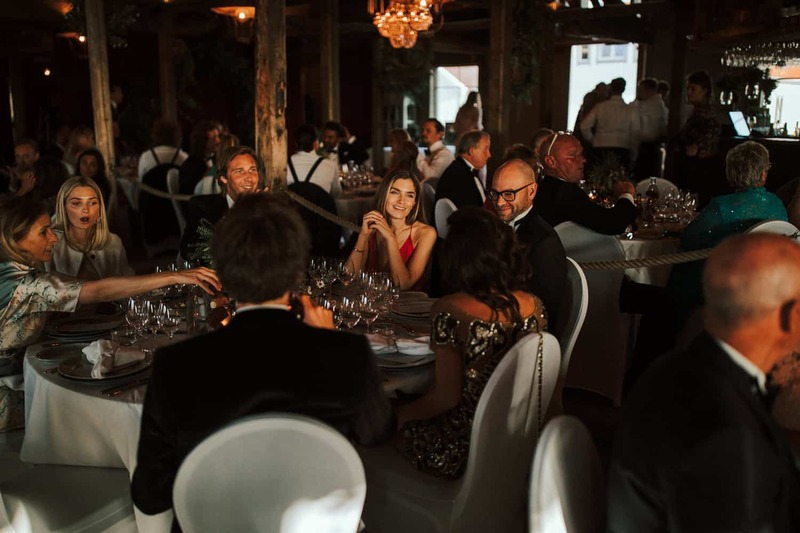 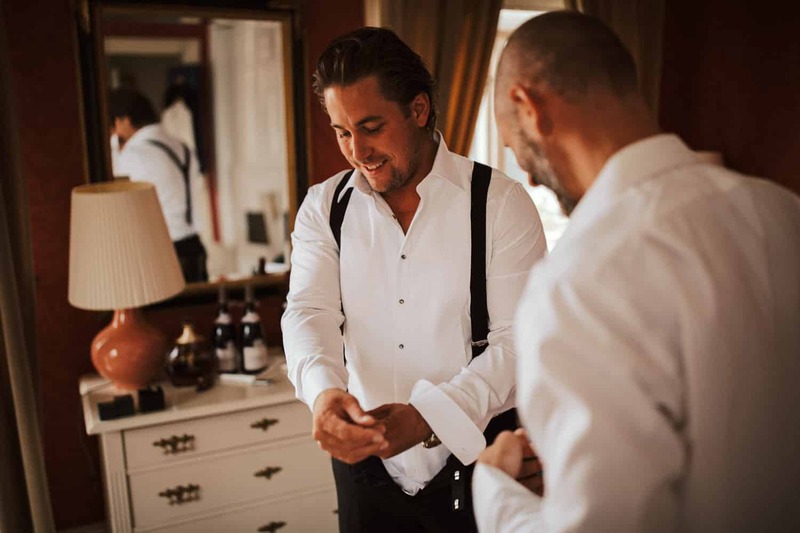 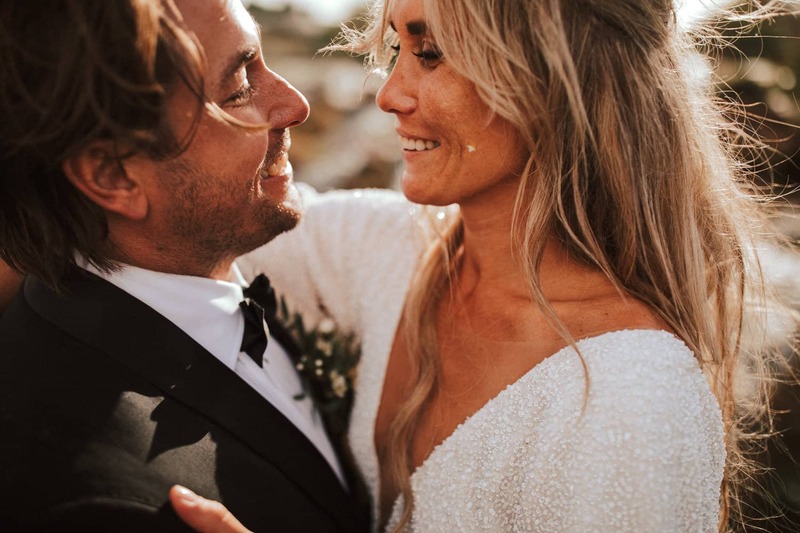 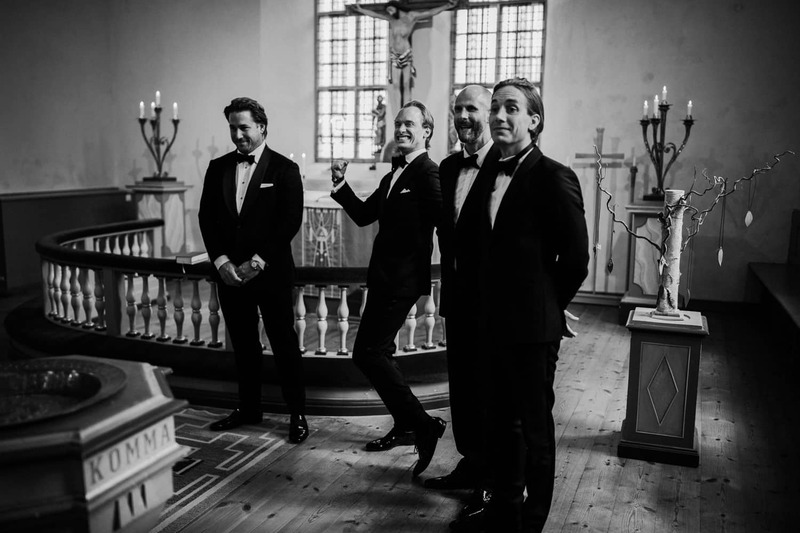 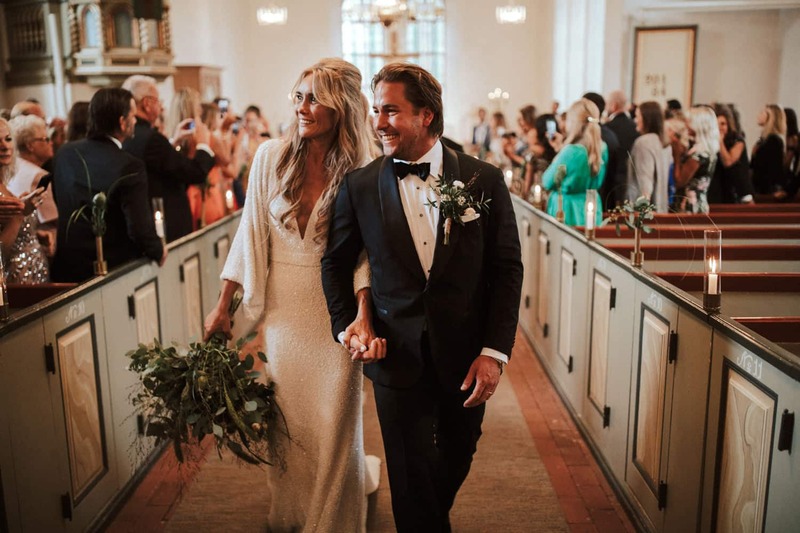 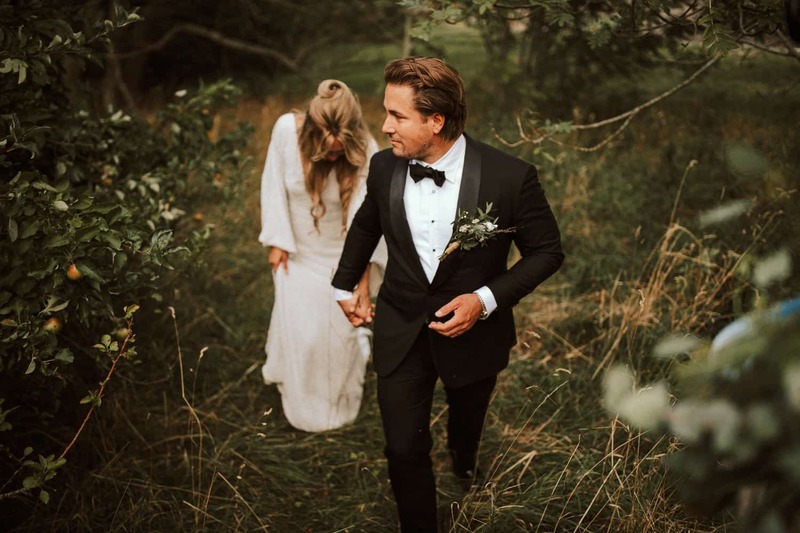 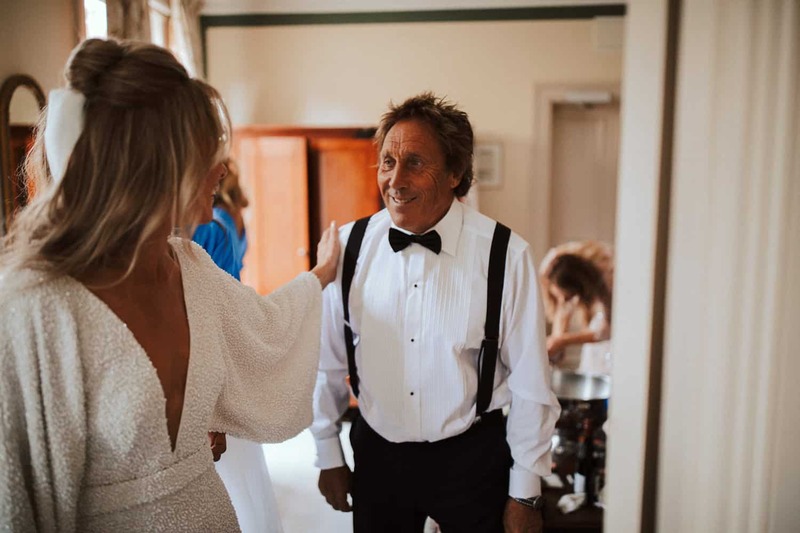 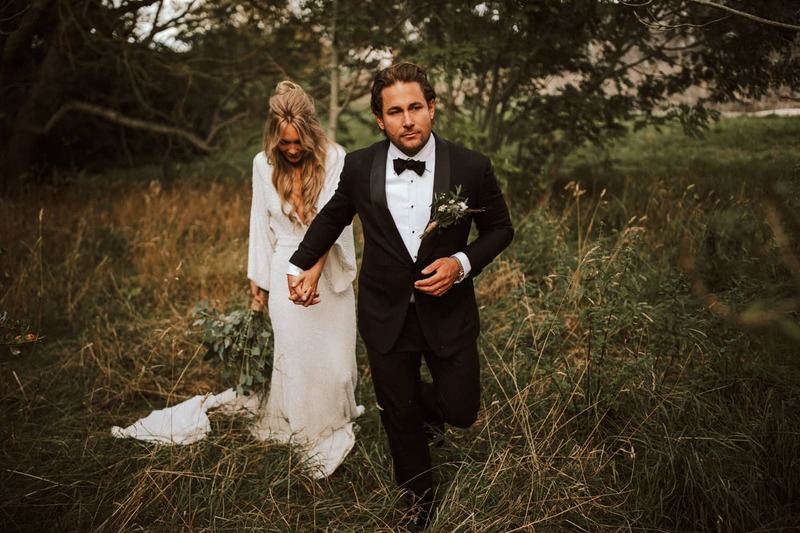 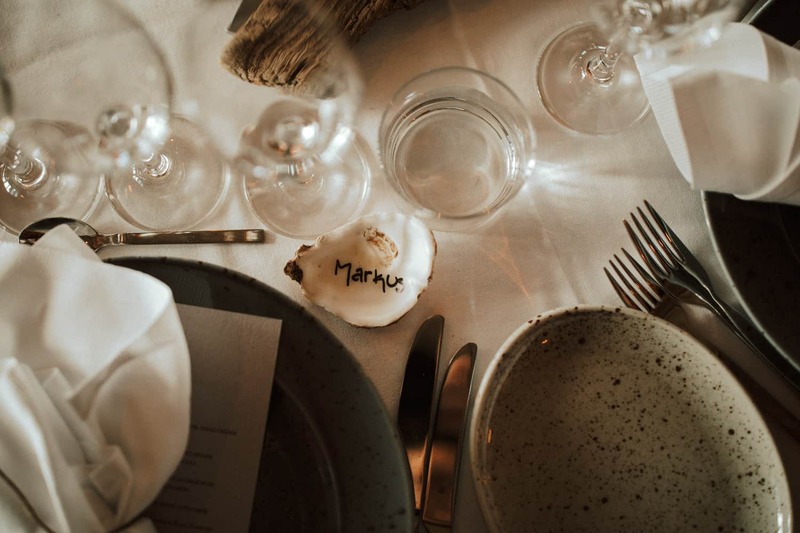 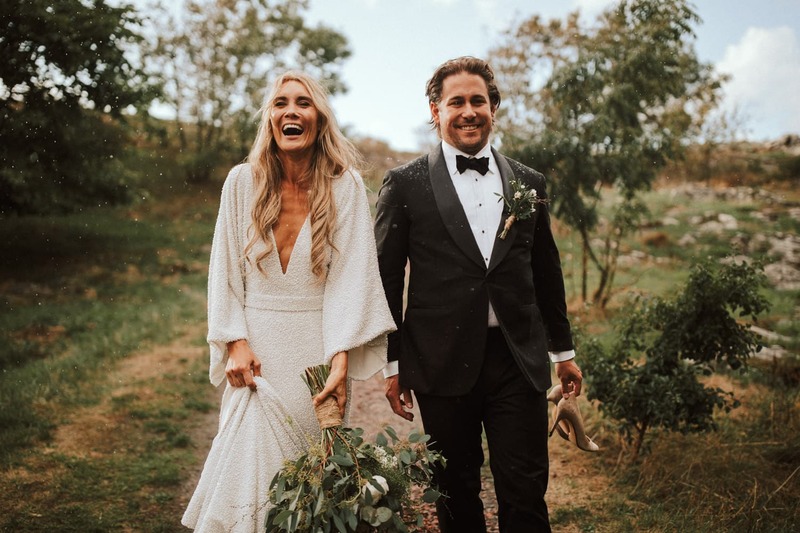 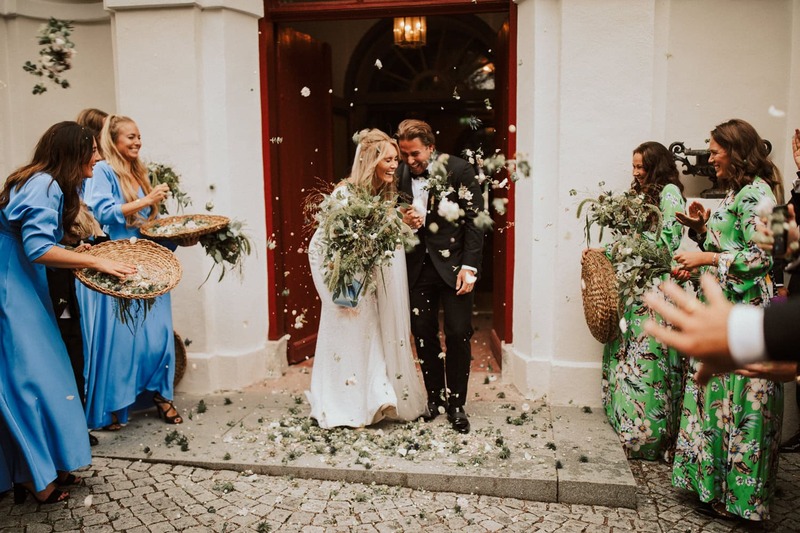 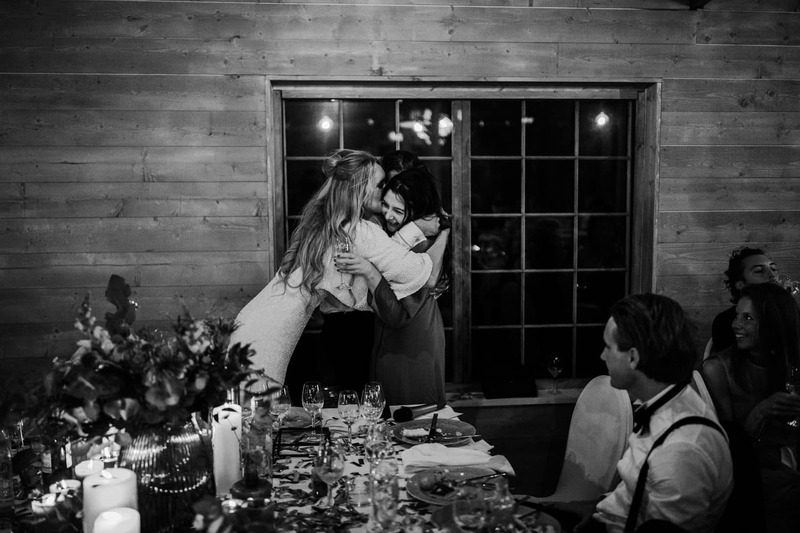 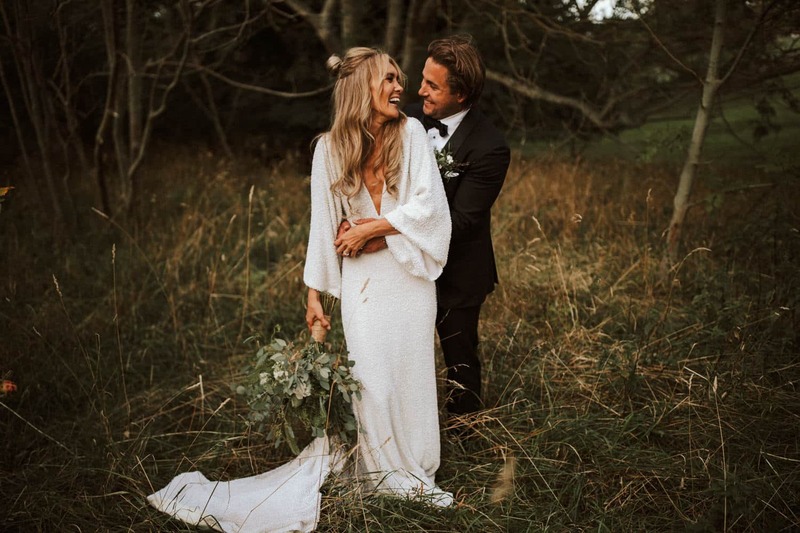 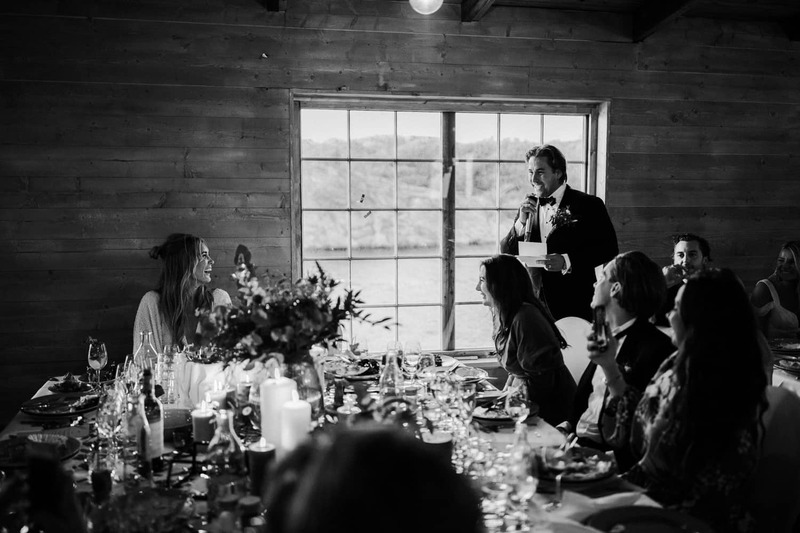 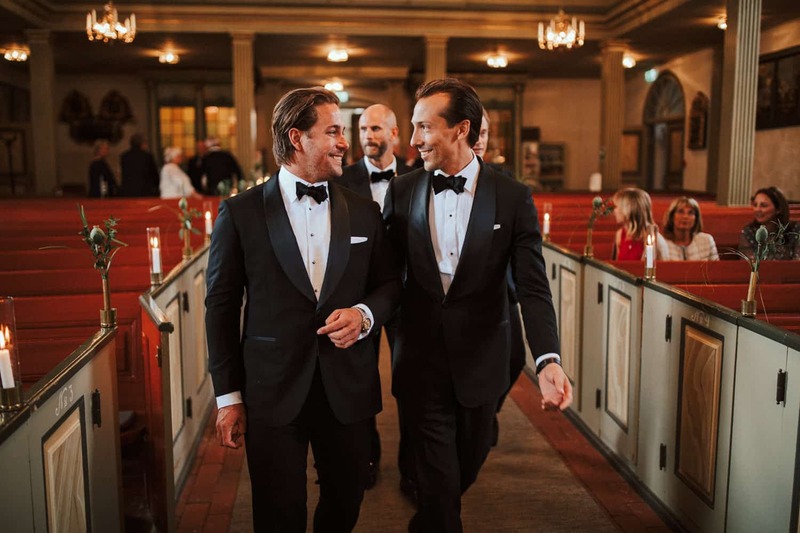 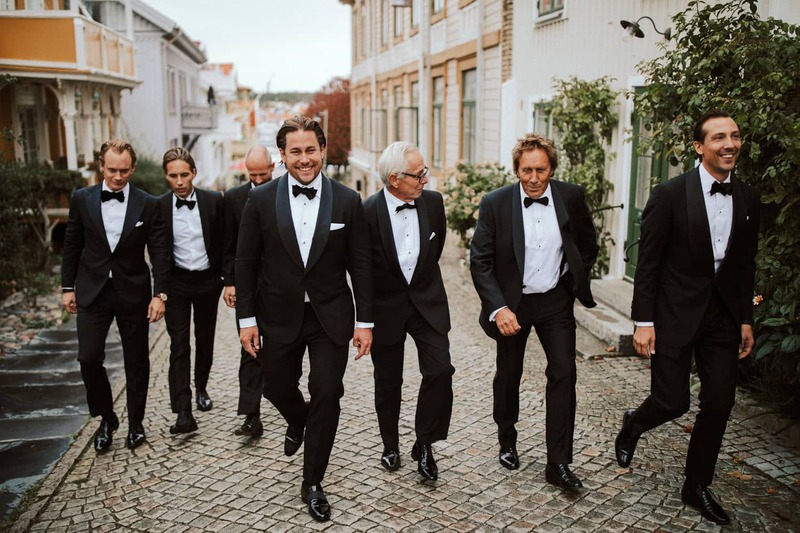 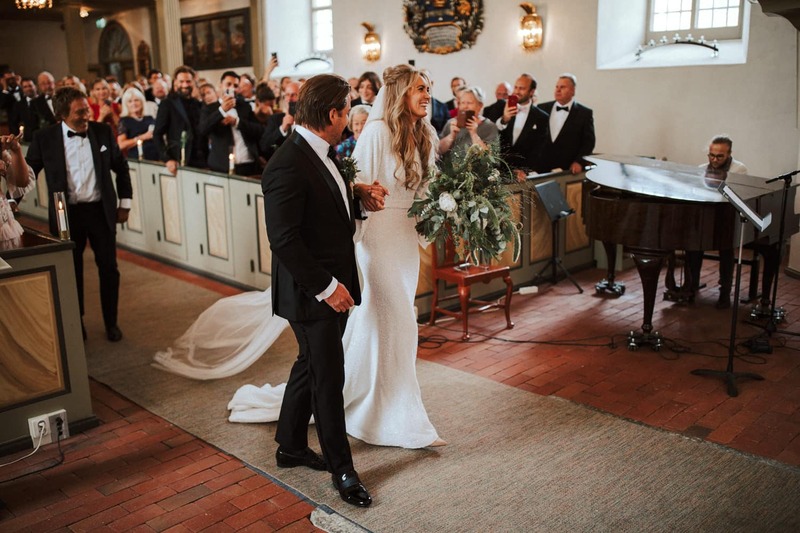 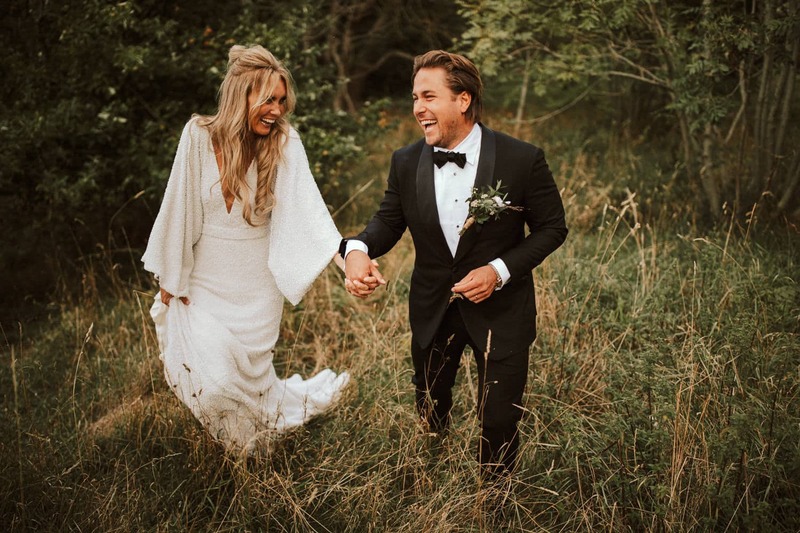 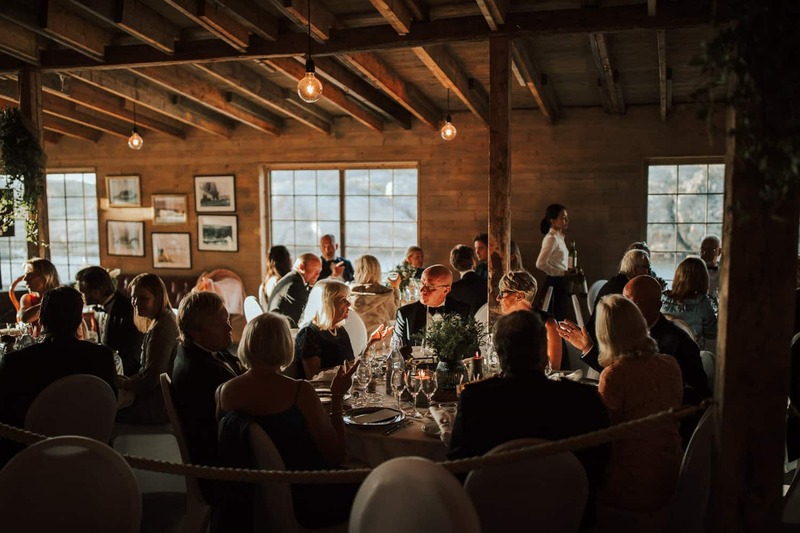 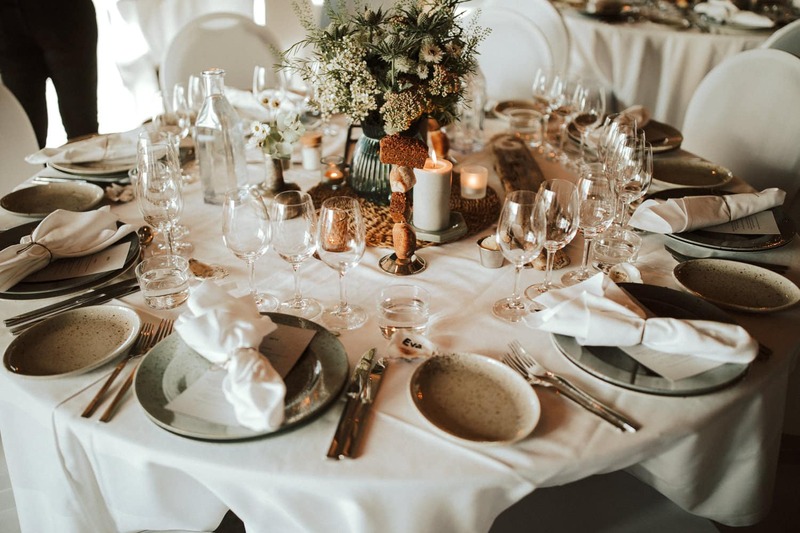 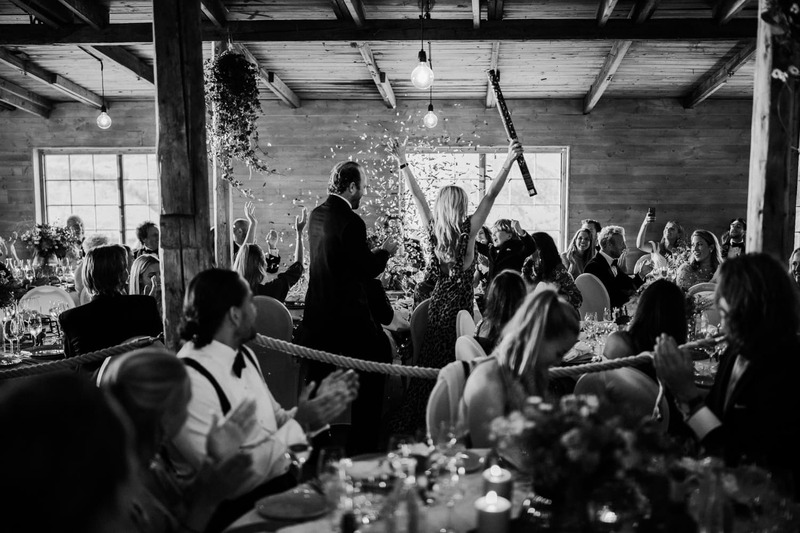 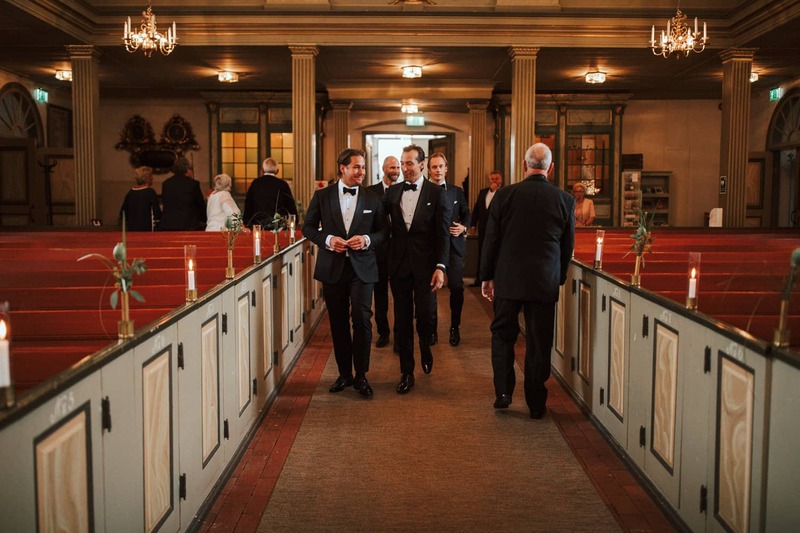 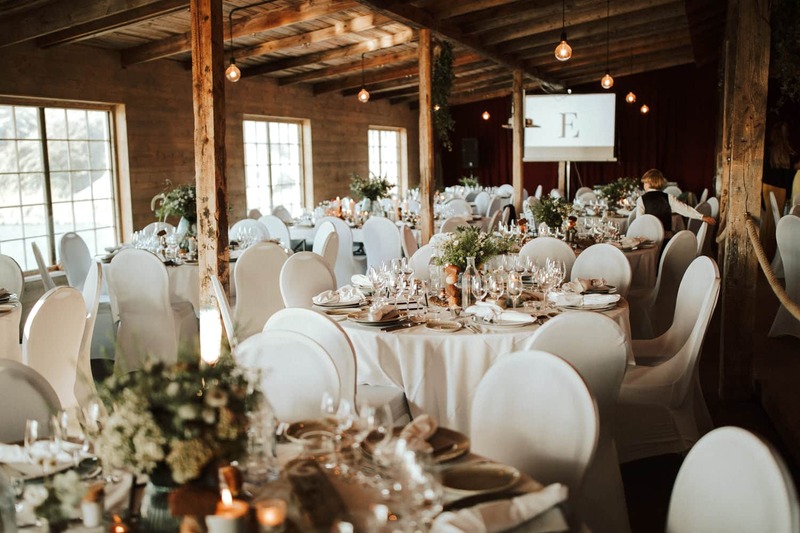 Emelie and her girls, Frederik and his boys, the family and the guests all made their way to the small church in the middle of Marstrand so this beautiful Swedish wedding could finally get going. 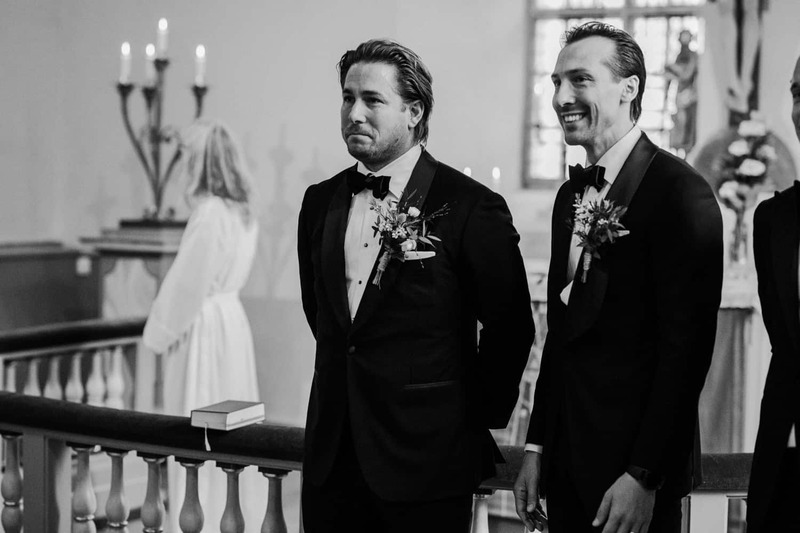 The ceremony was one of the coolest I have ever been to. 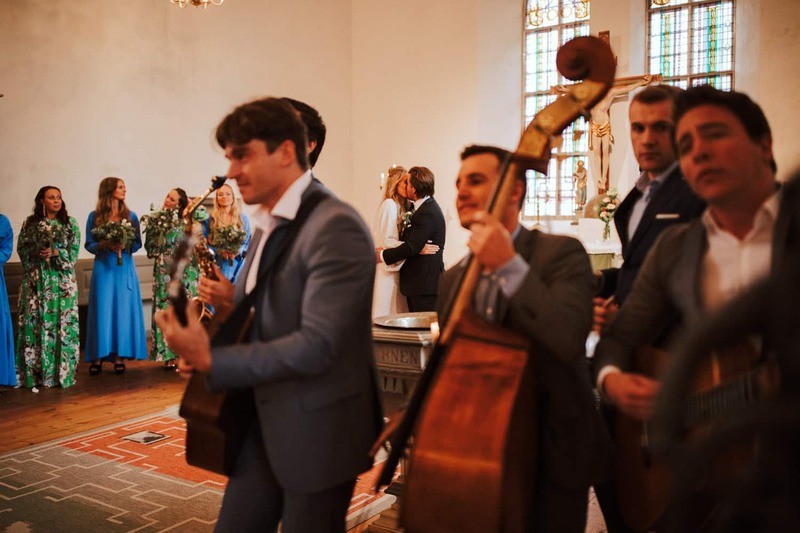 This was not your normal boring ceremony, it was more about music and laughter. 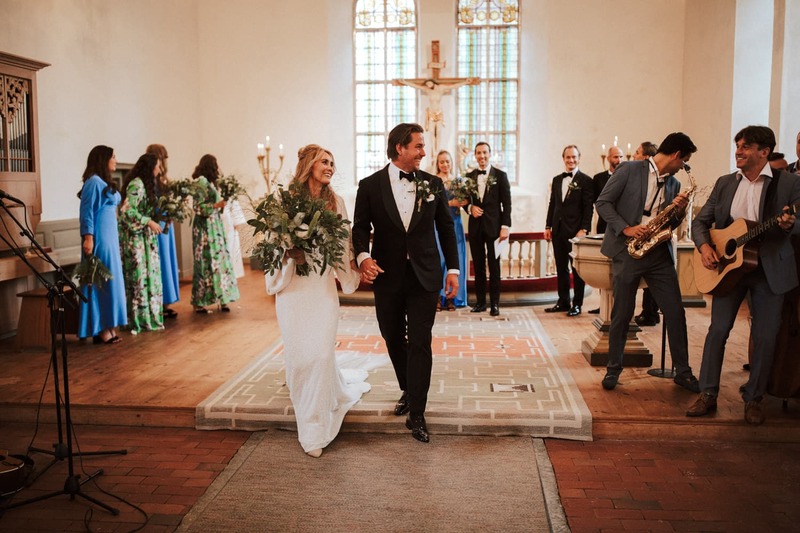 A live band even entered at the end of the ceremony to sing some live songs, while the guests were clapping and singing along. 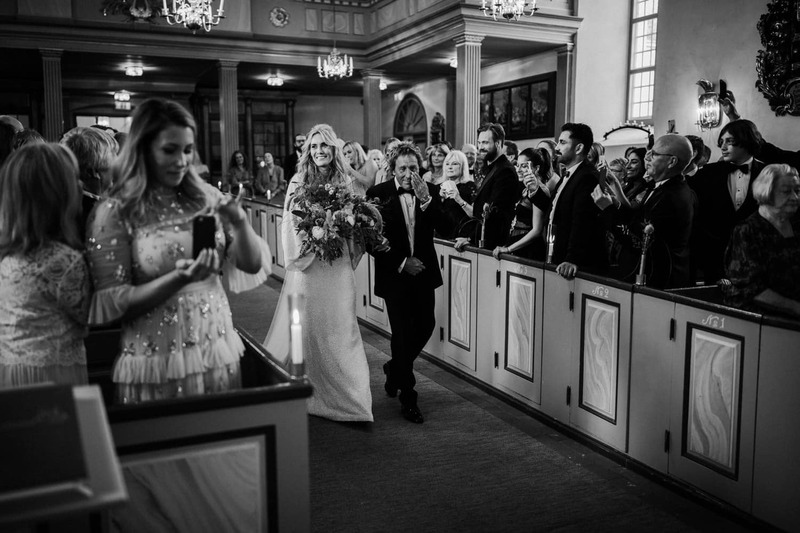 Emelie & Frederik made their exit with all of that happening in the background and it was awesome. 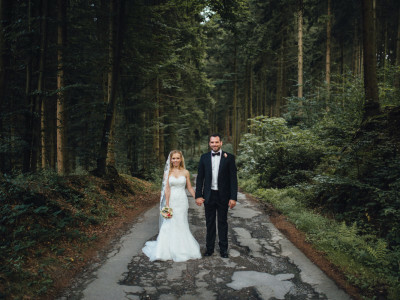 We immediately head out into a small forest for our couple shots and it started to rain again for 5 mins. 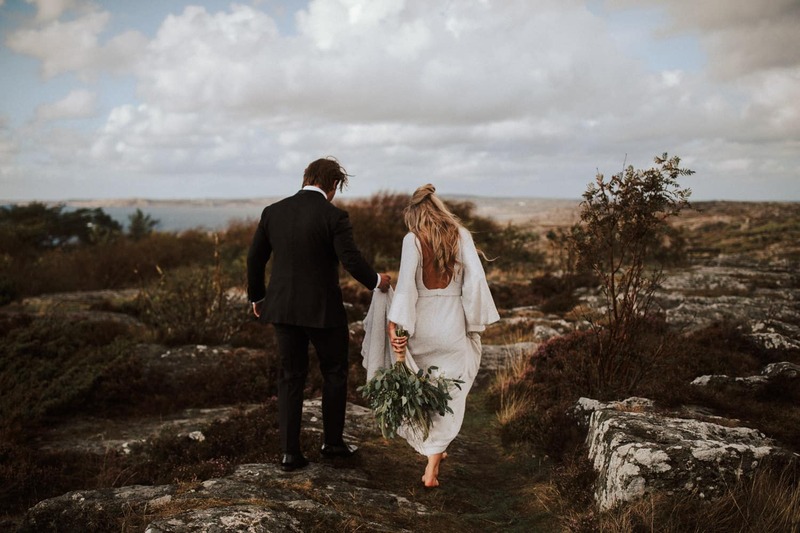 Emilie just threw her shoes away and walked around barefoot as a rainbow made his way onto the horizon once the sun appeared. 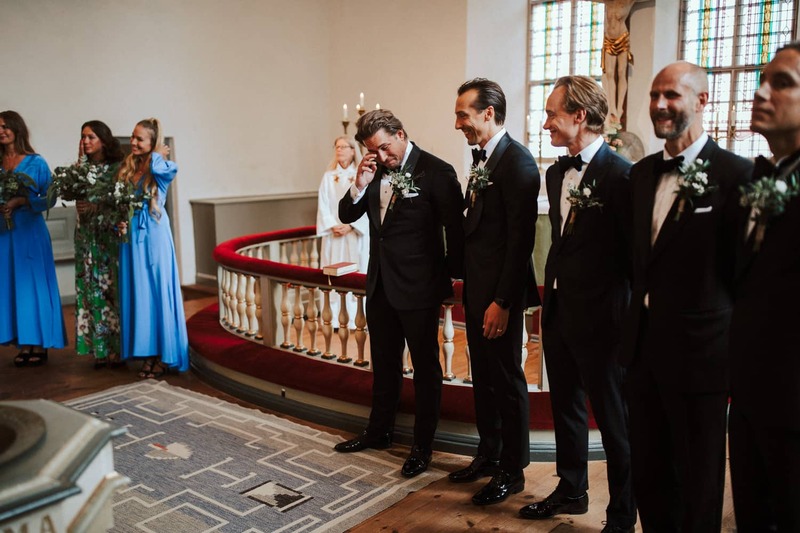 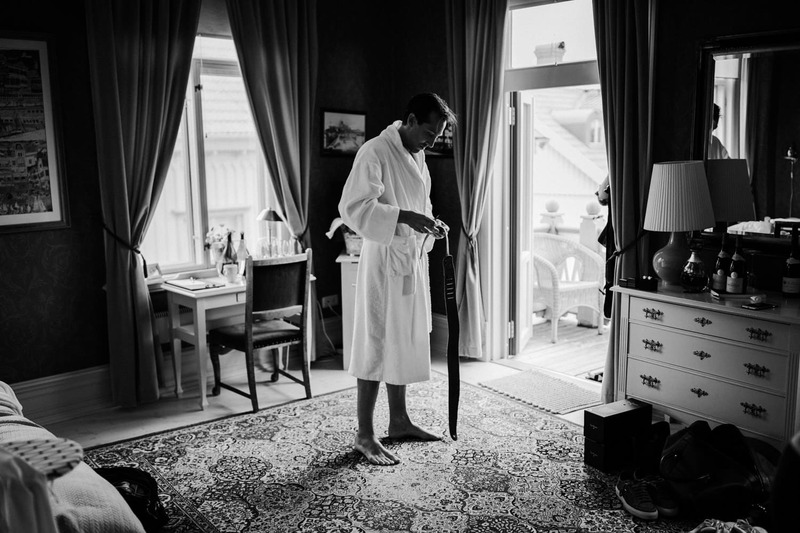 I guess these are the special moments we all wait for during a Swedish wedding. 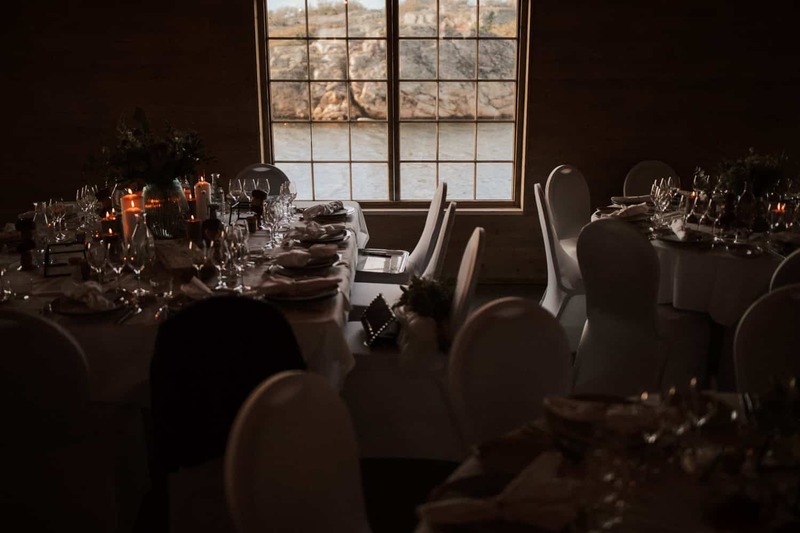 Half an hour later and we jumped on a small boat to make our way to the amazing reception location, which was an old boathouse that looked super pretty with evening light coming through the windows. 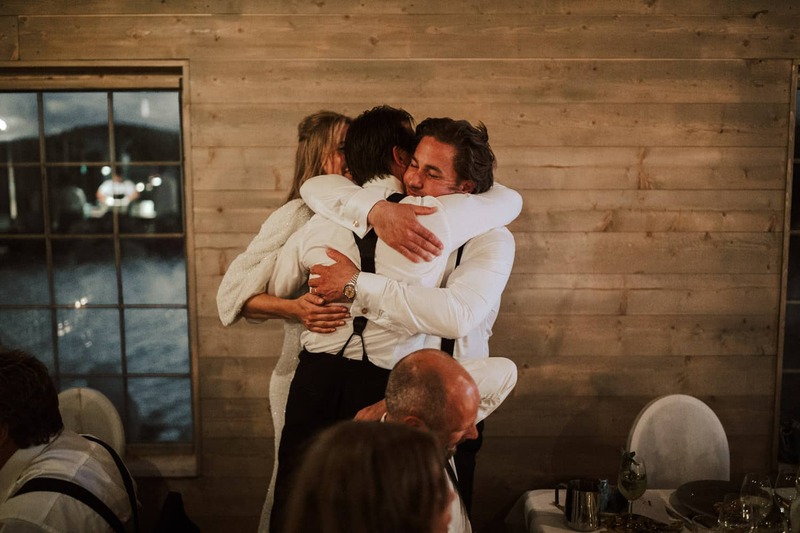 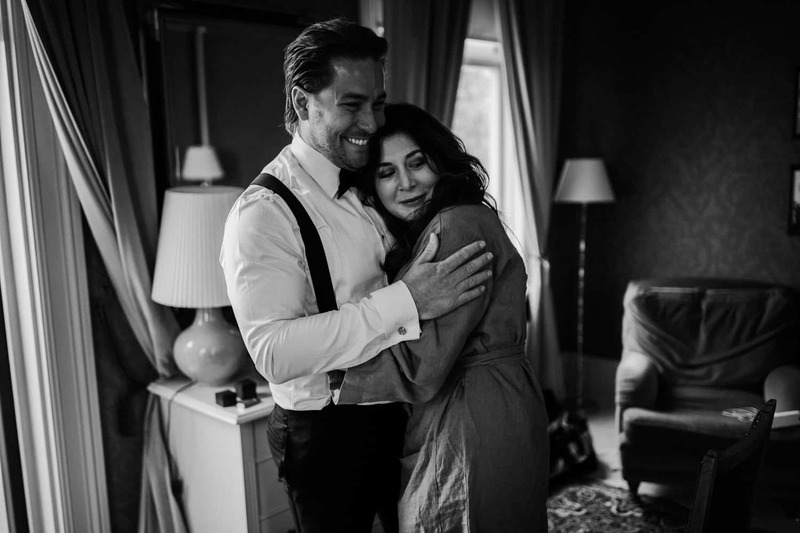 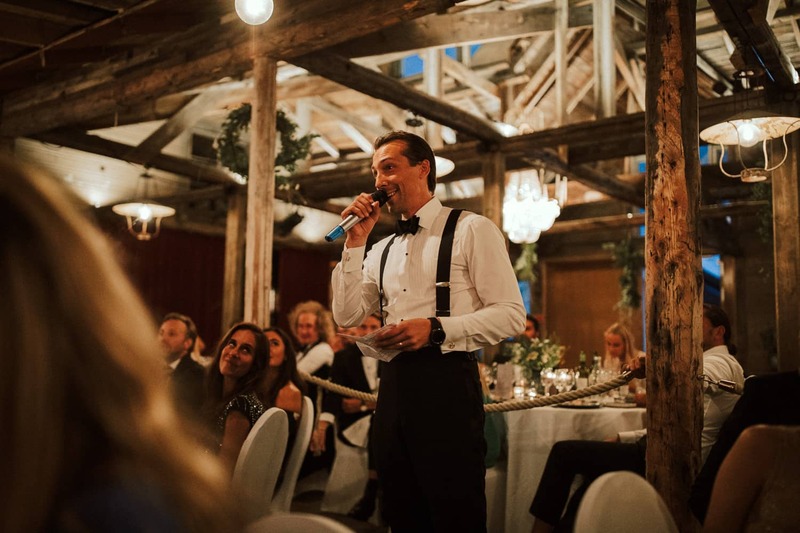 The celebrations went on for hours and we just had a super fun time in Marstrand, eating delicious food, dancing and wiping these tears from our eyes during the speeches.